Tony Ferguson on the UFC stripping him of the interim title: "How do you think I f**king feel?" This Saturday night, UFC 229 will not only mark the the long awaited return of former UFC double champion Conor McGregor, but it will also see the return of another former UFC lightweight champion in Tony Ferguson. As it’s been well-known, Ferguson has been out of UFC action for quite sometime due to suffering a severe knee injury prior to what was suppose to be his originally scheduled title defense against Khabib Nurmagomedov at UFC 223. But now here we are five months after the injury, as Ferguson prepares to make his comeback to the octagon against fellow former 155-pound champion Anthony Pettis. Ferguson won the interim belt by defeating Kevin Lee at UFC 216 via submission. With that victory, it boosted Ferguson’s winning streak to 10 straight, seven of those by finish. 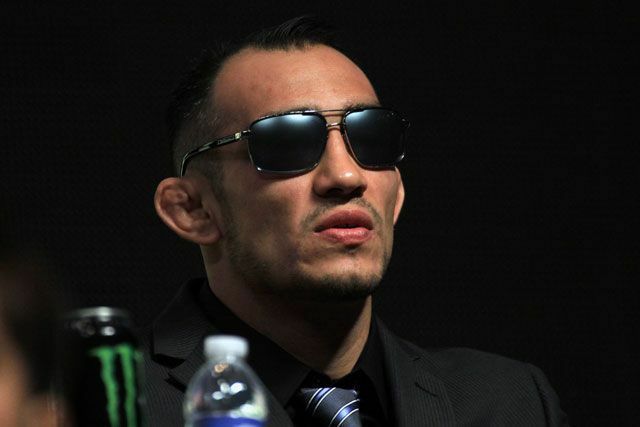 “El Cucuy” still believes in his mind he is not only still the rightful UFC 155 pound interim champion, but the undisputed champion as well. Overall, Ferguson feels he’s the best lightweight in the world and feels he’s got the resume to prove it. Ferguson expressed he’s not been a fan of the main event build of McGregor and Nurmagomedov, even going as far to refer to the Irish superstar as a terrorist throwing a dolly, recalling the not so memorable incident that transpired back in April. He then added that he’s hoping that neither man will emerge victorious after this Saturday night’s UFC 229. If Ferguson is able to take out Pettis Saturday, he insisted he’ll be the next contender for the UFC lightweight title regardless of who wins between McGregor and Nurmagomedov, while also stating he’s always ready and willing to step in as a last minute replacement should something go wrong with one of the two fighter’s before UFC 229.